​Mary Alice offers compassionate and cutting edge work based on lifelong inner teachings and well-grounded experience. She uses her strong spiritual guidance and the power of the heart to be a clear channel for energetic healing of the mind, body and soul.Sessions are individualized to suit the needs of each person. They are an effective way to experience a miracle or shift in life. Sessions consistently prove to be a powerful and safe means of accessing a person’s physical, emotional and core soul level issues. Whether those issues stem from a past life, childhood or current circumstance, you will replace them with a new perspective on life. ​Are you awake for sure? Would you like to be? If you are into Eckhart Tolle, Joel Goldsmith, Don Miguel Ruiz, and the like – Here is a facilitator and counselor for you! Mary Alice Stuart helps people on their ENLIGHTENMENT – She has the gift of knowing. 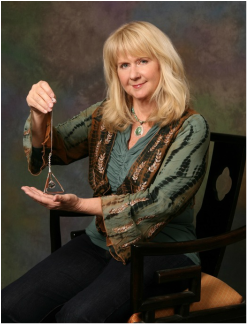 Mary Alice is a Quantum Awareness Facilitator and a Guide For Lucid Living. Simply put, she is an expert at helping people to be clear and stay clear. You not only see but “get” the big picture. Her highly developed intuitive skills assist you to take your next evolutionary step and Go Further! Just a few sessions will accelerate your ability to make permanent positive shifts. With ease, you are guided directly to the truth. You awaken from the conditioned dream. Restore calm and confidence. Free to be your true Self – you may enjoy a new playing field. Your beliefs can be walls of limitation, built from past dramas, stories and expectations, they are not real. Rise Above and Get Beyond. We are culturally conditioned to be afraid and the result is an accumulation of discomfort. With Mary Alice’s help, you effectively release this “pain-body.” Resistance is dissolved. The root of conflict is cleared. False beliefs fall away and the focus is on Being Present.